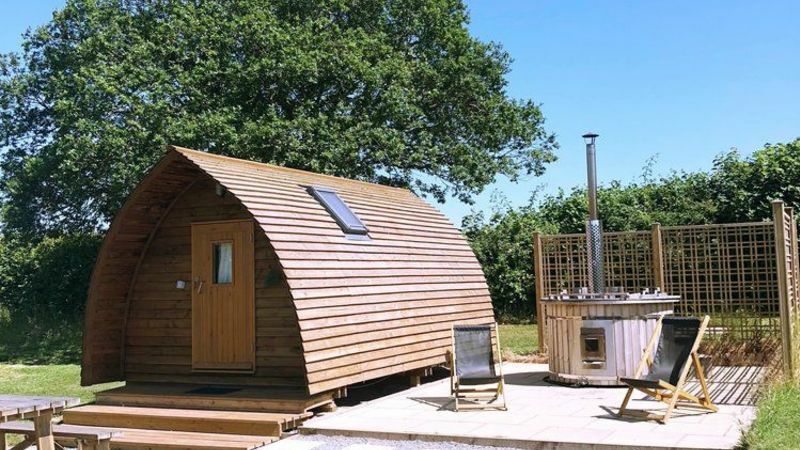 The shepherd’s hut is a new version of the traditional home of a shepherd and a 20th century forerunner to today’s recreational vehicle. On its original iron chassis, it is made of wood and has old-fashioned wheels and steps going up to it. The double stable doors and windows allow plenty of sunlight to stream in. 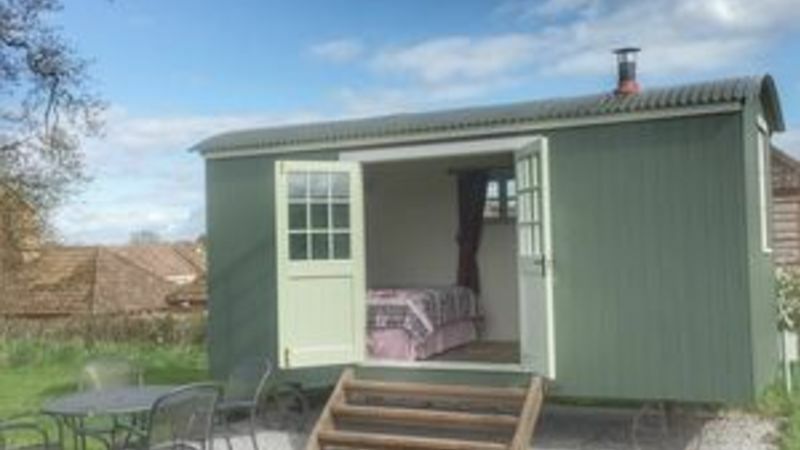 The shepherd’s hut sleeps two adults in a double bed, bedding is provided. There is wooden seating on the covered porch. There is electric lighting and heating. 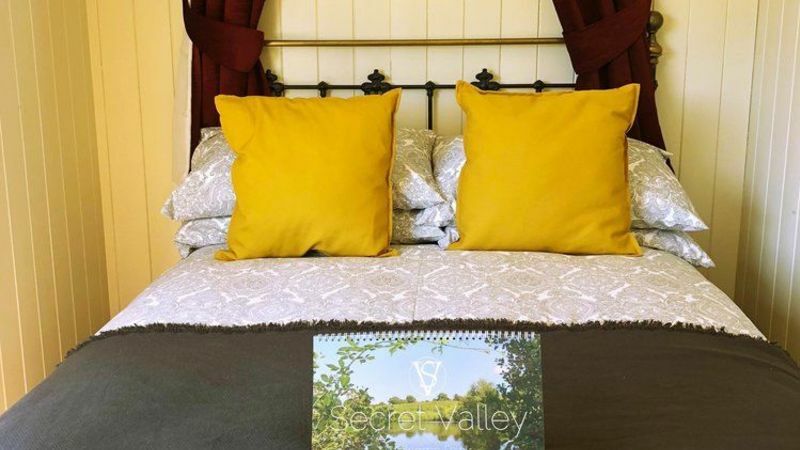 There is a double bed provided for sleeping (bedding is provided but you will need to bring your own towels). 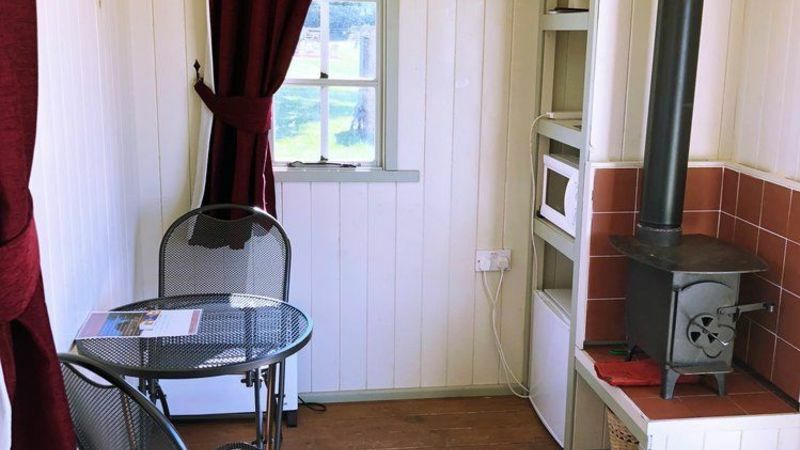 There is a heater, microwave, kettle, toaster and fridge, please bring your own crockery. Outside there is a barbecue and fire pit and a picnic table. 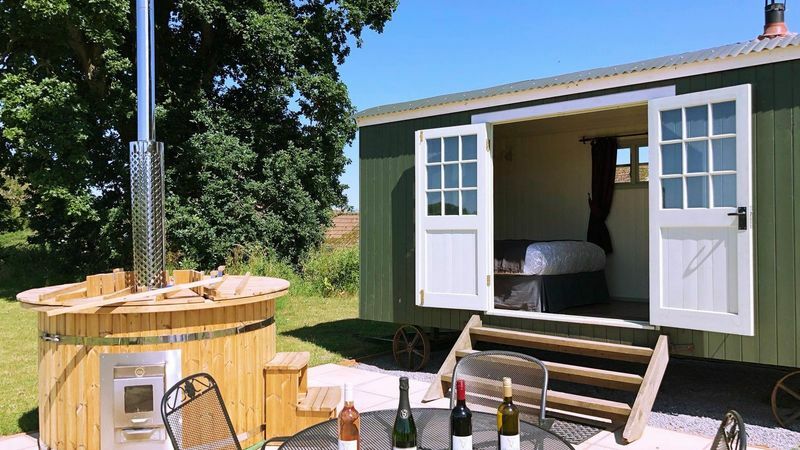 The shepherd’s hut is positioned on the edge of the vineyard by a beautiful old oak tree.The sun sets directly in front of them and is a perfect place to enjoy a glass of wine as dusk settles and stars begin to twinkle. 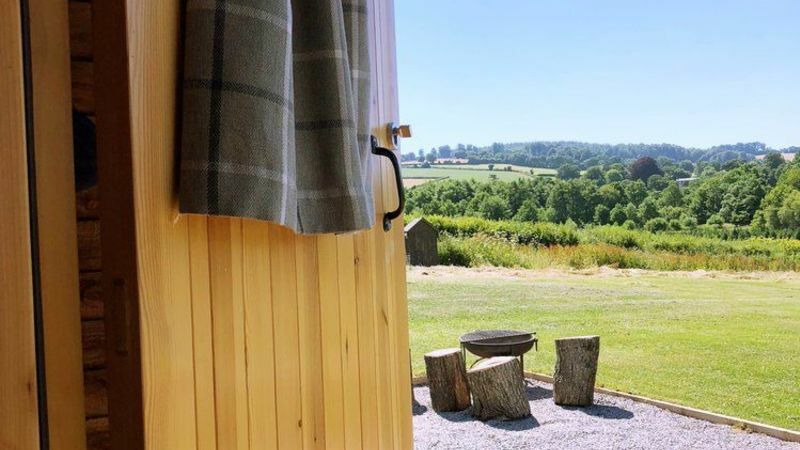 There is a shared toilet between the two Shepherd's Huts. 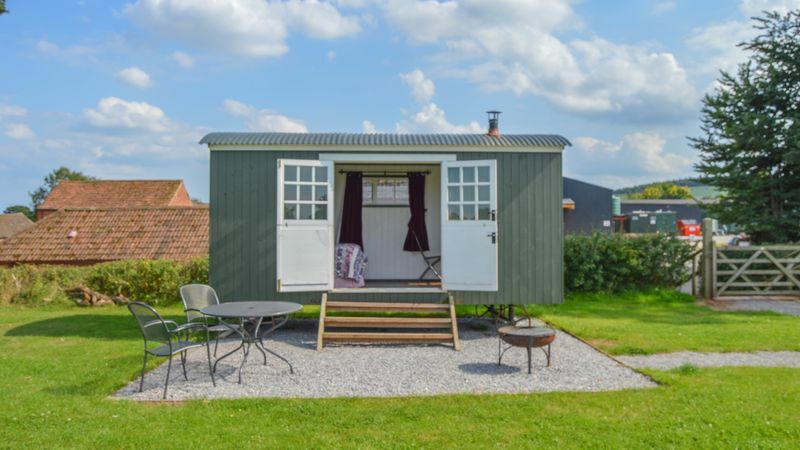 This is a short stroll from the shower, toilet, kitchen and dining facilities. 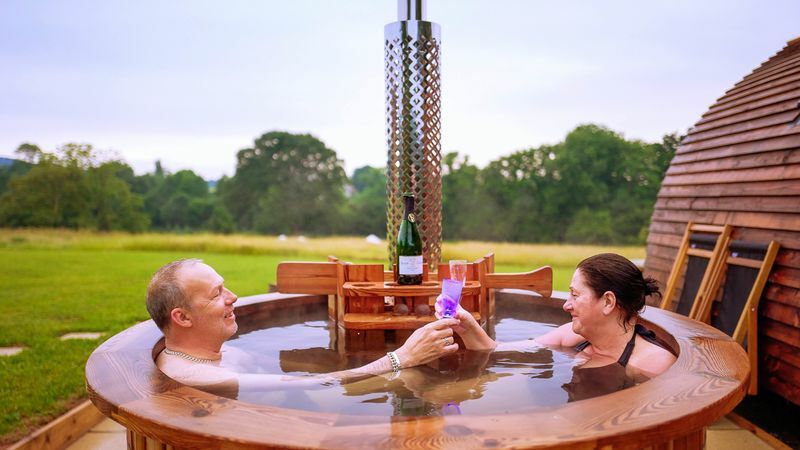 Great for a couple looking for a romantic getaway and new for 2018 we have added a handmade Scandinavian wood-fired hot tub! 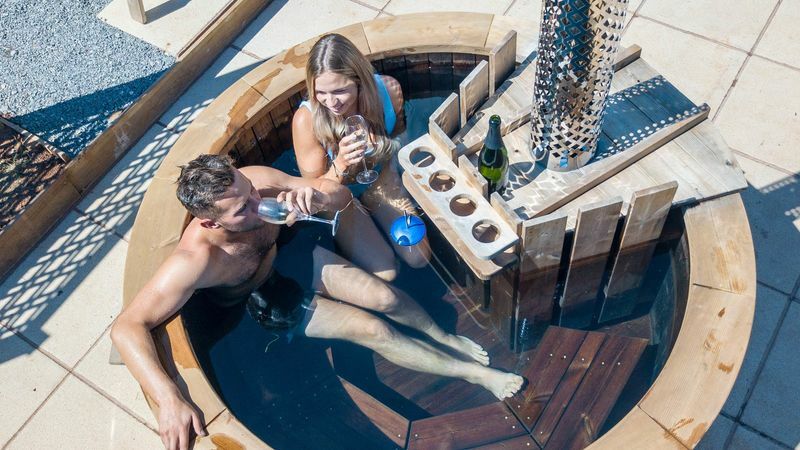 Comes with a complimentary bottle of Secret Valley Wine and two buckets of wood, plus bedding. Adults only. There is electric lighting and heating. 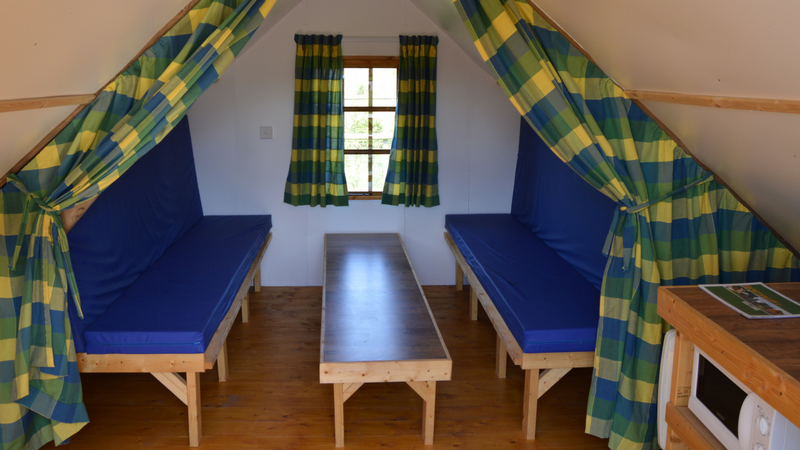 There is a double bed provided for sleeping (bedding is provided but not towels). 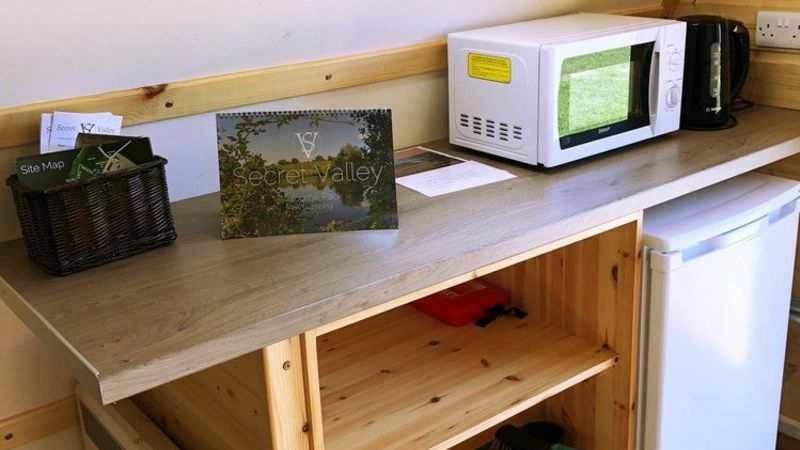 There is a heater, microwave, kettle, toaster and fridge, please bring your own crockery. Outside there is a barbecue and fire pit and a picnic table. 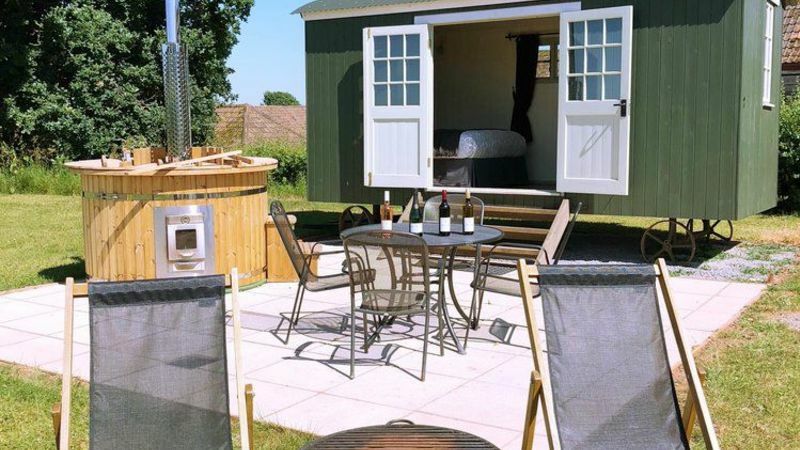 The shepherd’s hut is positioned on the edge of the vineyard by a beautiful old oak tree.The sun sets directly in front of them and is a perfect place to enjoy a glass of wine as dusk settles and stars begin to twinkle. 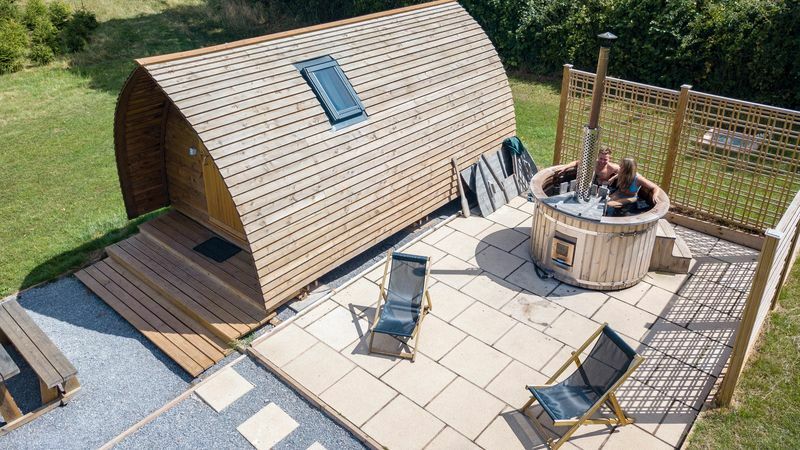 Adjacent to the Shepherd's Hut is a hand made Scandinavian wood fired hot tub. 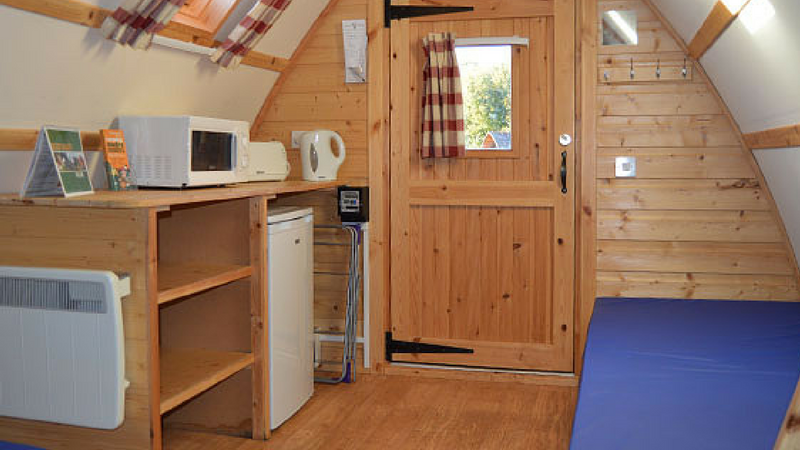 The main shower, toilet, kitchen and dining facilities are a short stroll. 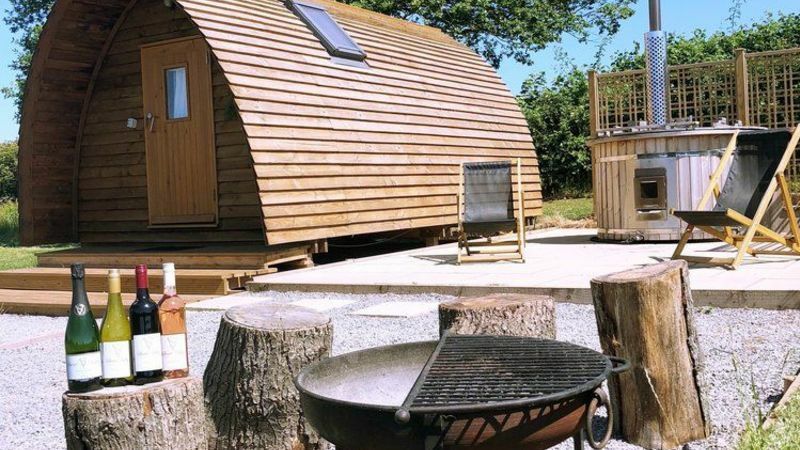 A Big Chief Wigwam with adjacent wet room and..... hand made Scandinavian wood fired hot tub! 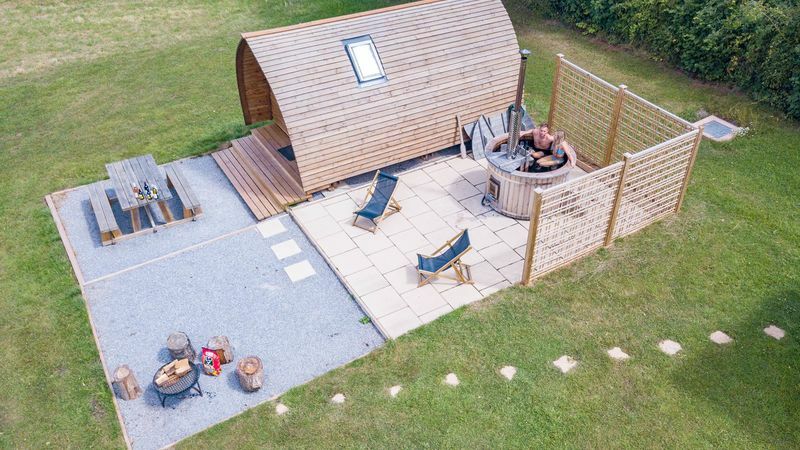 The Wigwam comes with a complimentary bottle of Secret Valley Wine and two buckets of logs for the Scandinavian hot tub (Adults only, maximum 4 persons). 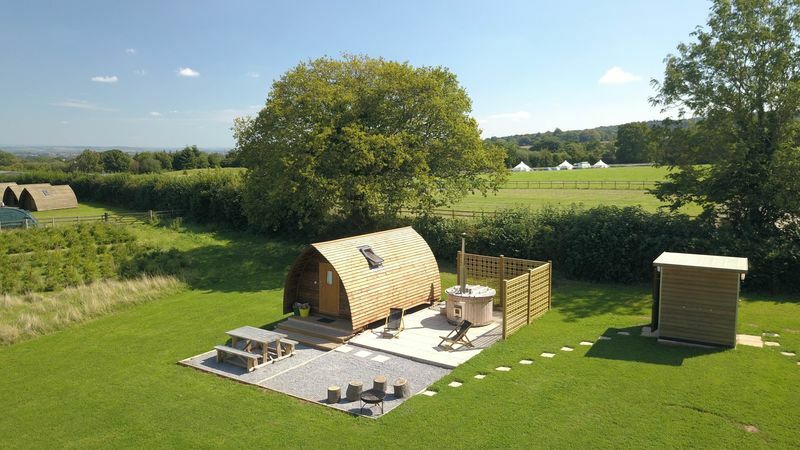 A Wigwam positioned in the Hill View Paddock with beautiful views of the farm. 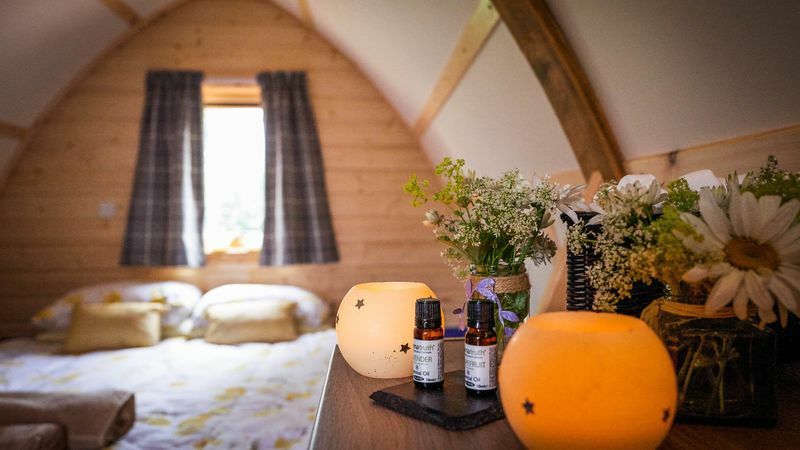 The Wigwam has an adjacent wet room and comes with a complimentary bottle of wine and two buckets of logs for the Scandinavian hot tub. 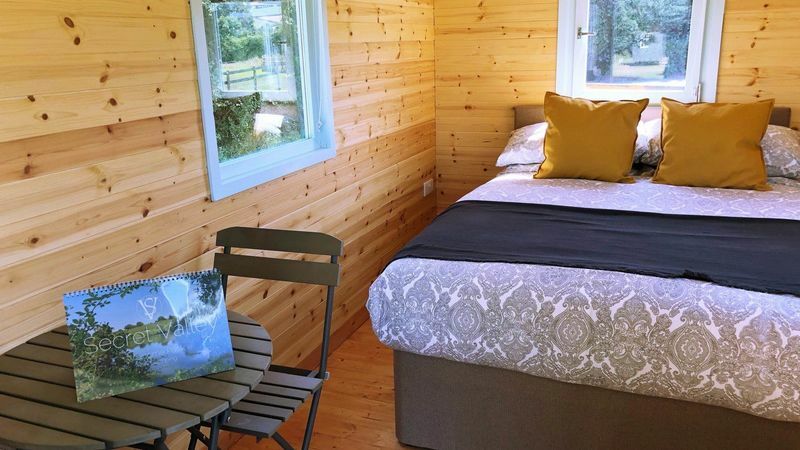 The ultimate in camping cabins, your accommodation is fully insulated, double glazed, securely lockable and has electricity (the meter is pre-loaded) giving heat, light and power. There is one roof light and one opening window for natural light and ventilation, outside, there is a picnic table, barbecue and fire pit. 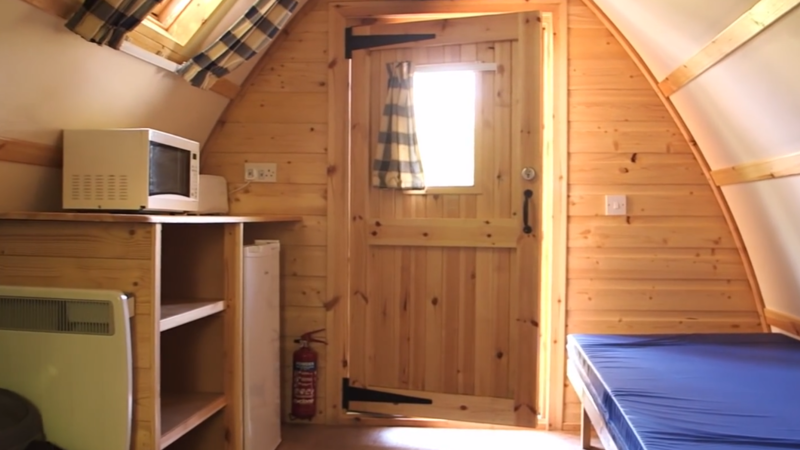 Each wigwam is equipped with foam mattresses, a kettle, microwave, a toaster and a fridge. We do ask you to bring your own bed linen/sleeping bags, pillows, towels, cutlery and crockery and don’t forget your torch! The campsite is far enough from light pollution to make it a great place to sit and enjoy your evenings with a touch of star gazing. 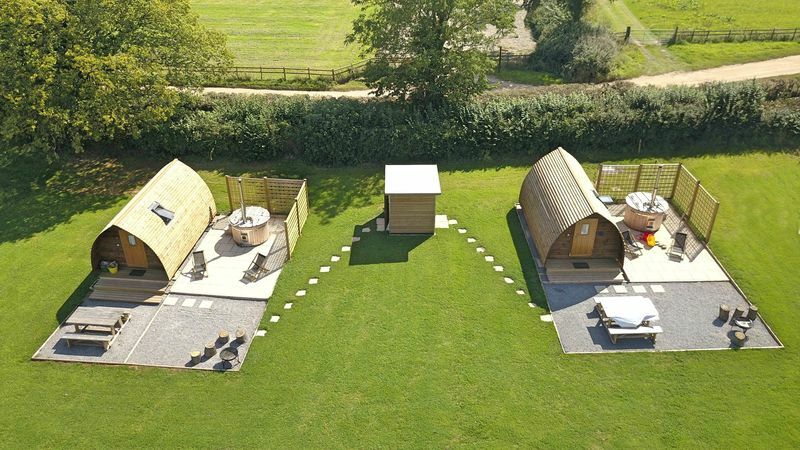 The wigwams are the latest innovation in rustic accommodation, giving you all the best bits about camping without the ‘challenges’ of flopping canvas and nowhere to stand up! 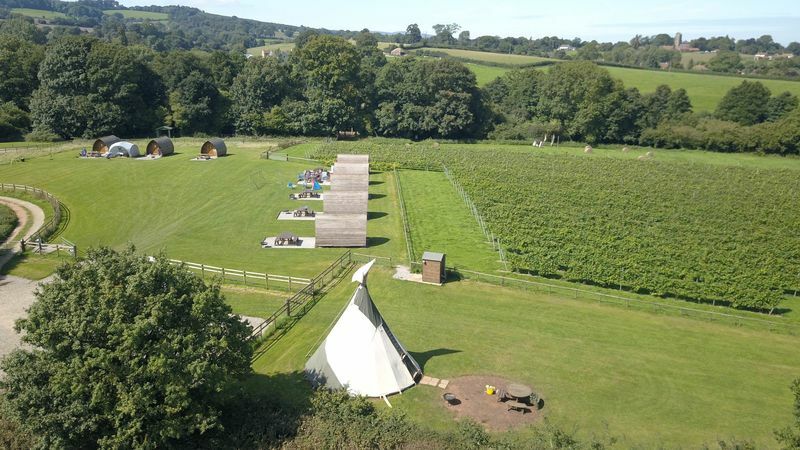 9 Wigwams positioned in the Quantock Paddock with beautiful views of the farm as well as 8 Wigwams in a stunning location within the vineyard. 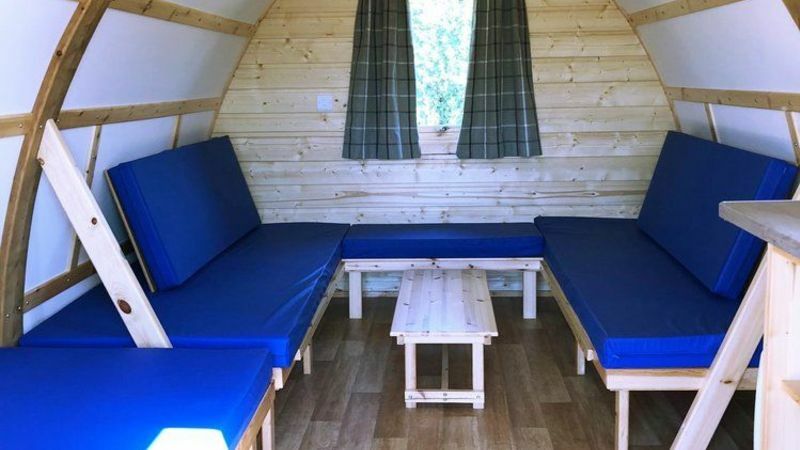 The ultimate in camping cabins, your accommodation is fully insulated, double glazed, securely lockable and has electricity (meter cards can be purchased on arrival) giving heat, light and power. There is one roof light and one opening window for natural light and ventilation, outside, there is a picnic table, barbecue and fire pit. 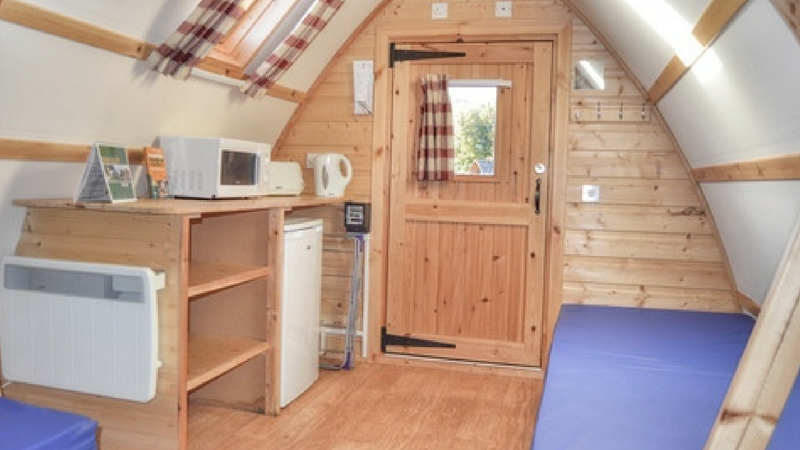 Each wigwam is equipped with foam mattresses, a kettle, microwave, a toaster and a fridge with a small freezer compartment. We do ask you to bring your own bed linen/sleeping bags, pillows, towels, cutlery and crockery and don’t forget your torch! 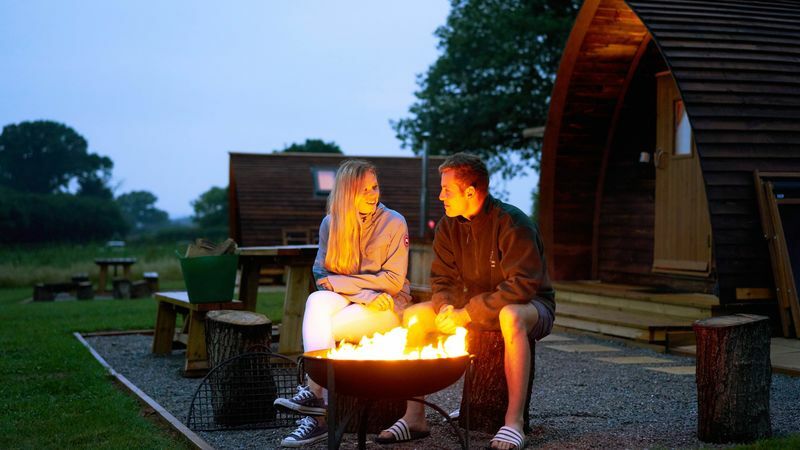 The campsite is far enough from light pollution to make it a great place to sit and enjoy your evenings with a touch of star gazing. 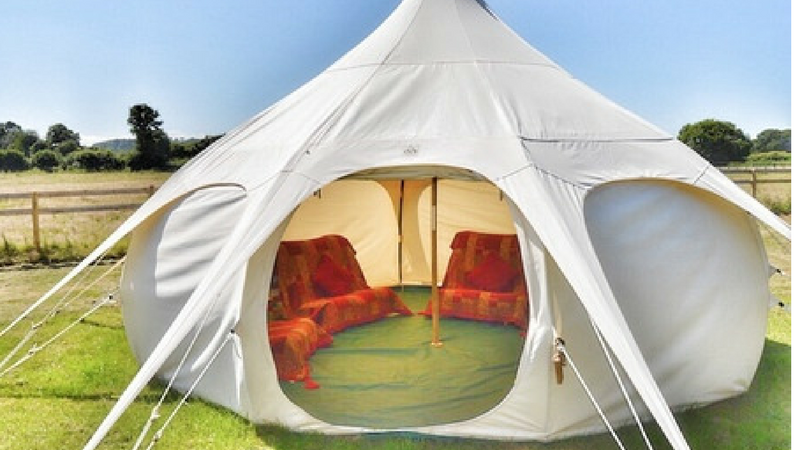 The larger Lotus Belle tent. This 5 metre version can be used in a wide range of scenarios. It is well suited for use in this country offering comfortable accommodation in virtually all weather conditions. 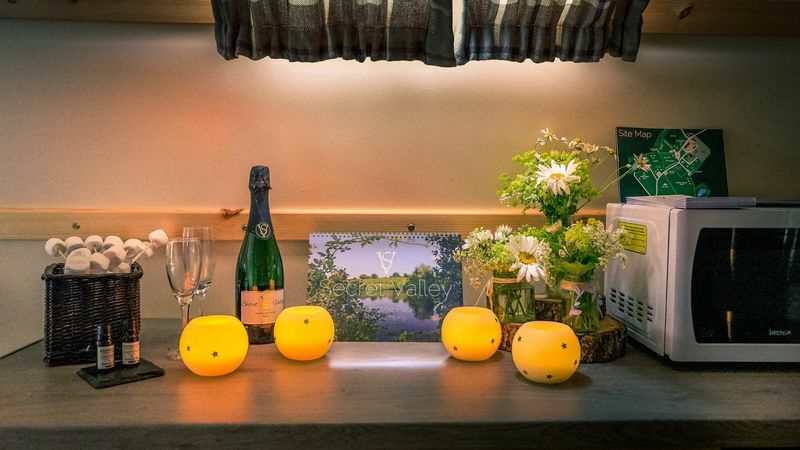 Designed for people looking to get away from it all and experience something different, there is no electricity supply in the lotus belle tent, but the communal kitchen and dining area are fully equipped with all utilities. Each belle tent has its own barbecue/fire pit and picnic table outside. Guests need to bring crockery, bedding and a torch. 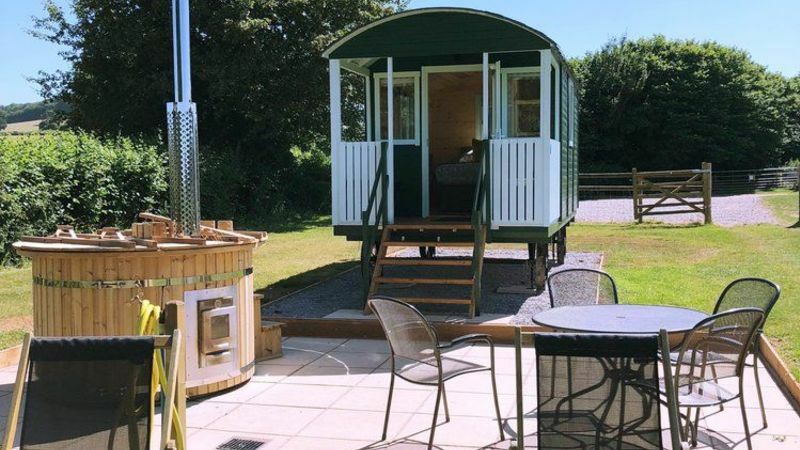 The toilets and shower facilities are a short stroll away. 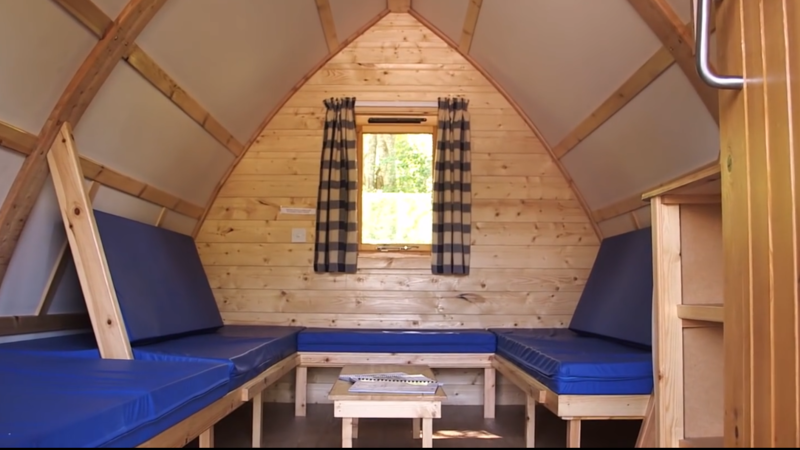 Inside each lodge are sleeping platforms with supporting mattresses (you will need to bring your own pillows & bedding), which can be changed to seating during the day. 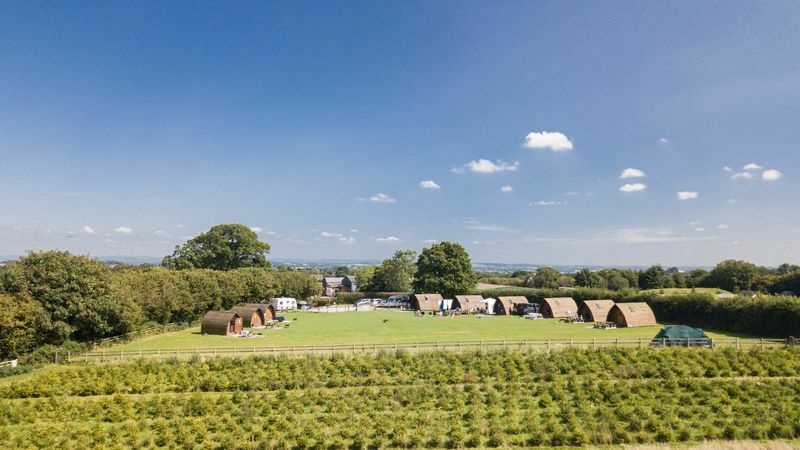 Each lodge has an electric radiator, kettle, electric sockets (meter cards can be purchased on arrival), lighting, larder fridges and microwaves, guest will need to bring crockery. 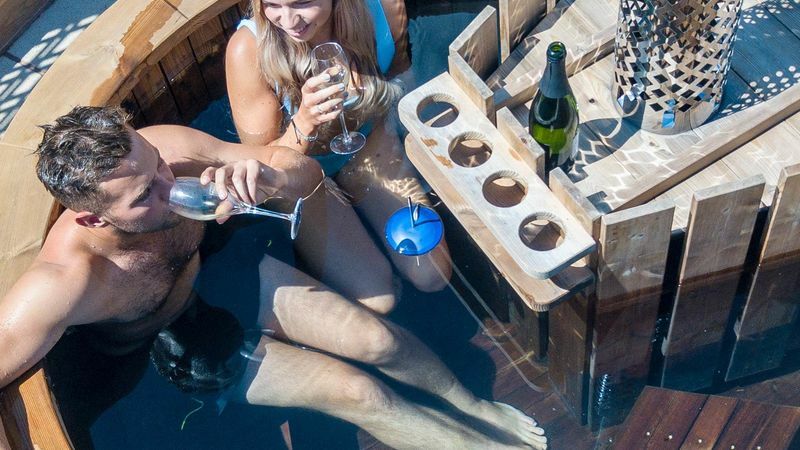 Outside is a picnic table and BBQ fire pit. Parking is 20-30yards from each lodge. And don’t forget your torch! The campsite is far enough from light pollution to make it a great place to sit and while away your evenings with a touch of star gazing. 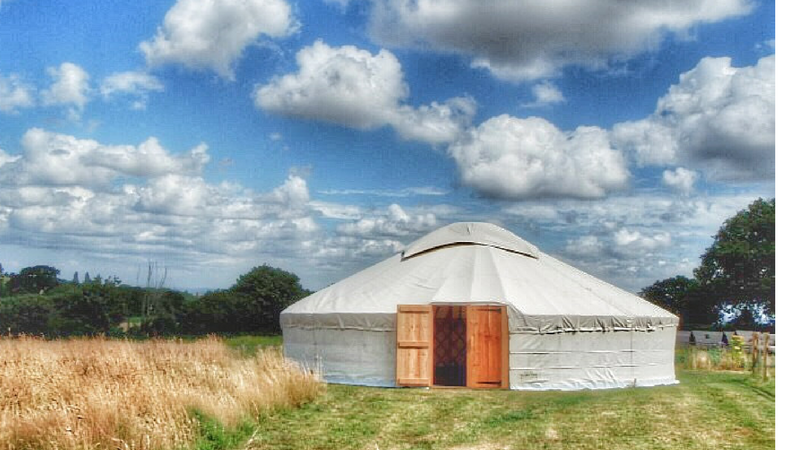 A yurt is the traditional portable home of the nomadic Mongolian people, where a cone-shaped canvas is laced onto a wooden lattice frame, creating a magical authentic environment and a great way to experience the harmony of round living. Made here in the UK the wooden frames are from renewable woodlands. It is well suited for use in this country offering comfortable accommodation in virtually all weather conditions. 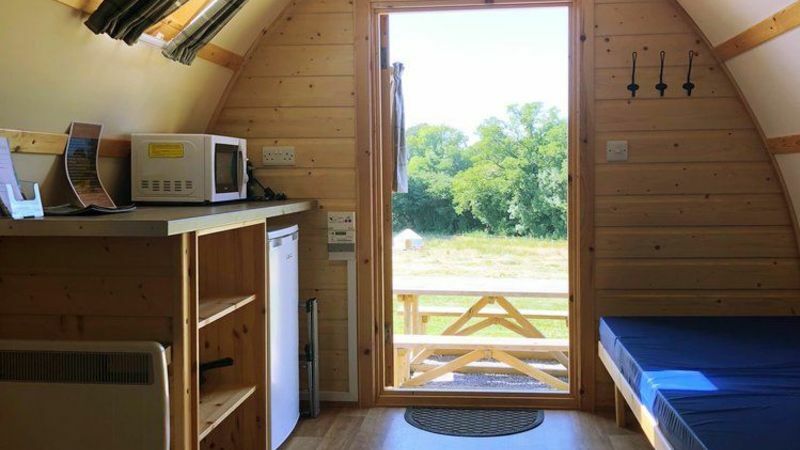 Designed for people looking to get away from it all and experience something different, there is no electricity supply in the yurts, but the communal kitchen and dining area are fully equipped with all utilities. 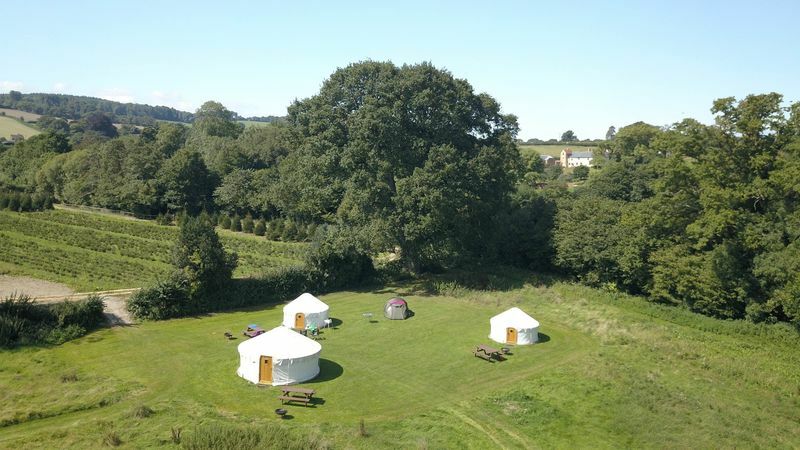 Each yurt has its own barbecue/fire pit and picnic table outside. Guests need to bring crockery, bedding and a torch. 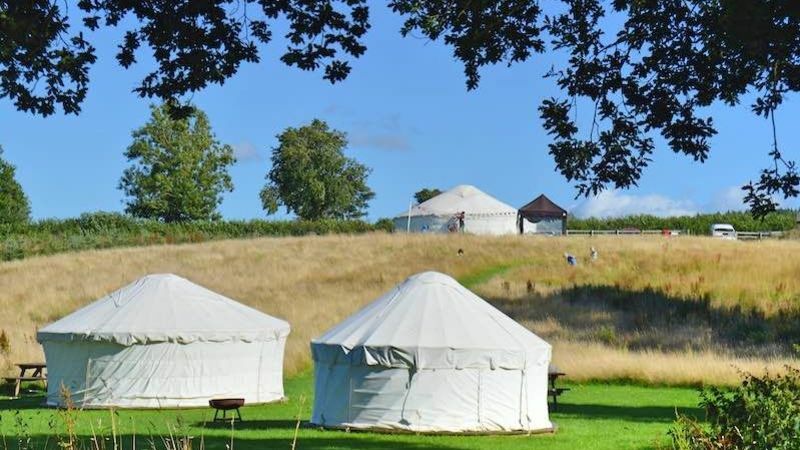 There is a toilet in the yurt paddock. 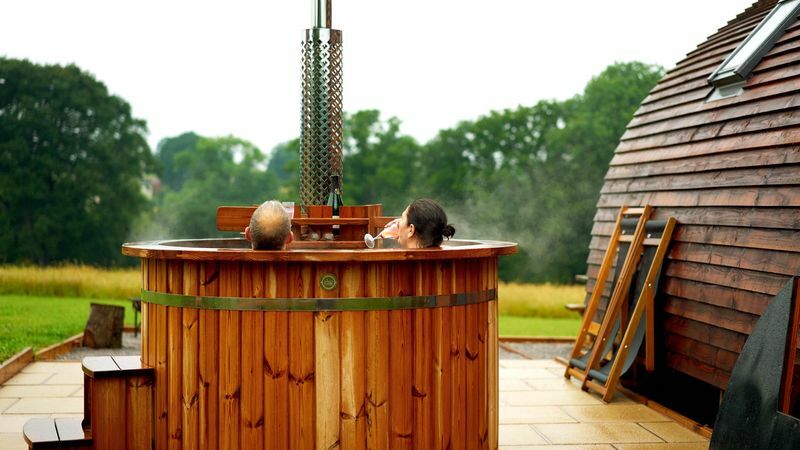 The main showers and toilet block is a 5 minute walk away from the retreat. 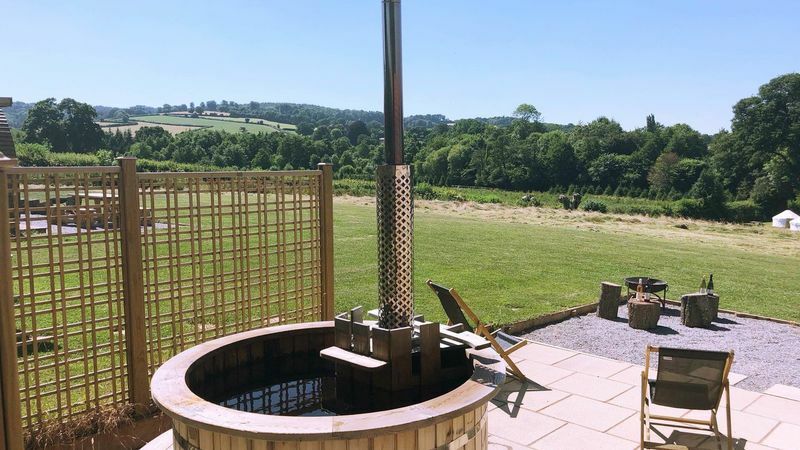 Designed for people looking to get away from it all and experience something different, there is no electricity supply in the big Yurt, but the communal kitchen and dining area are fully equipped with all utilities. The big Yurt has its own barbecue/fire pit and picnic table outside. Guests need to bring crockery, bedding and a torch. 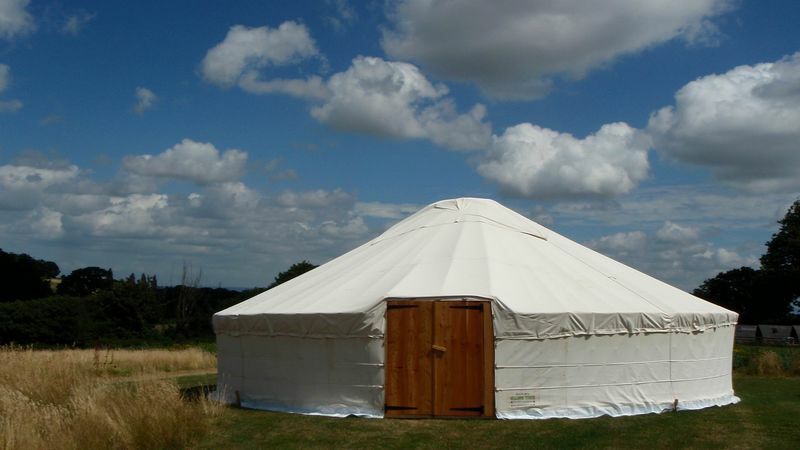 There are seven futons supplied inside the big Yurt. 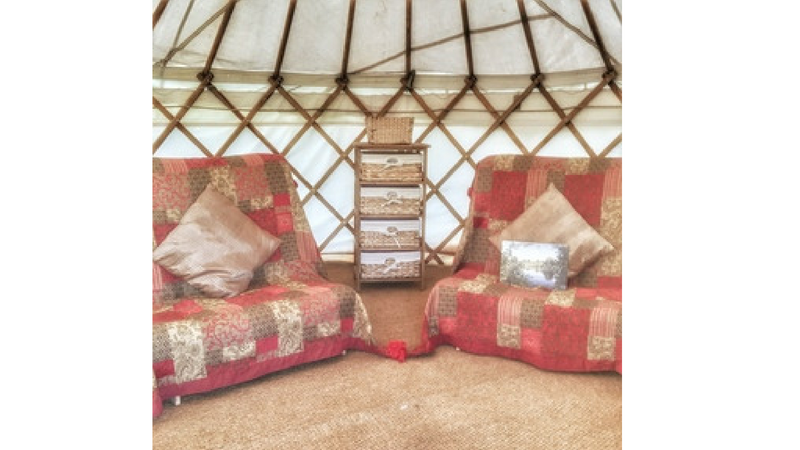 The big Yurt has its own toilet nearby and the main showers and toilet block is a 5 minute walk away. 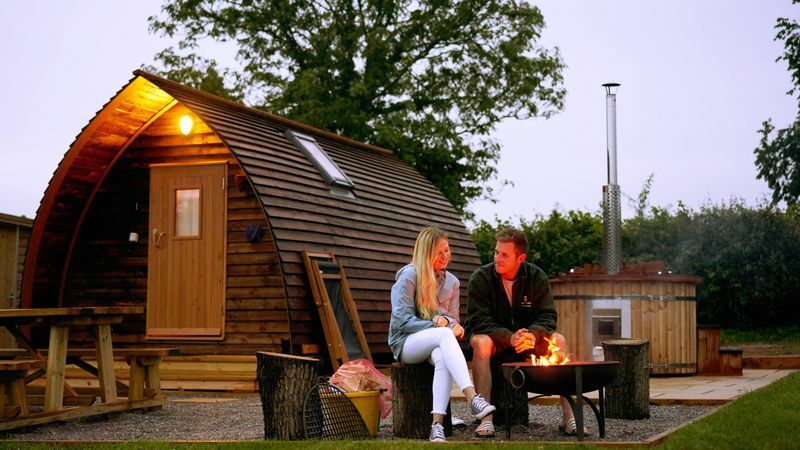 A Big Chief Wigwam with adjacent wet room and. 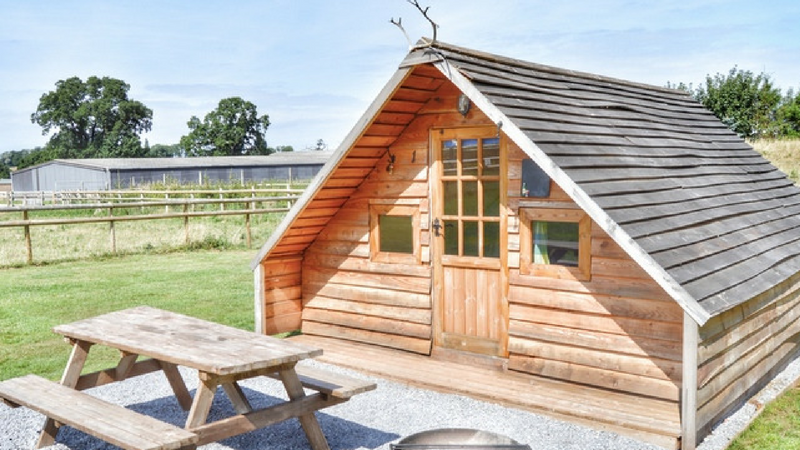 A Big Chief Wigwam with adjacent wet room . 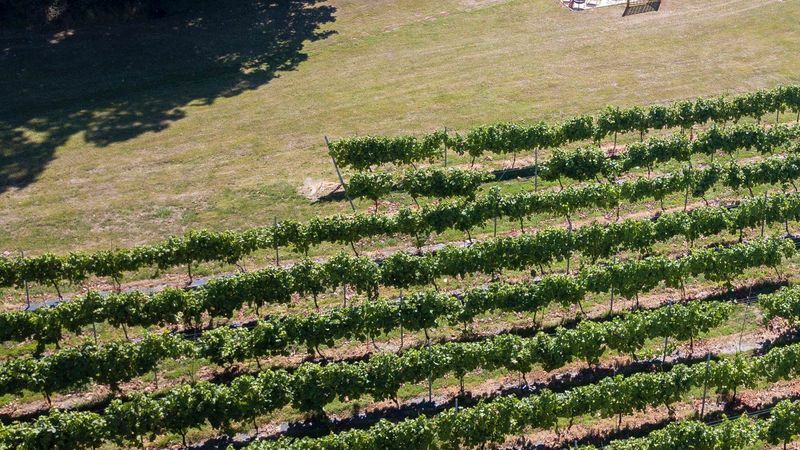 A Wigwam positioned in the Hill View Paddock with beautiful views of the farm. The Wigwam has an adjacent wet room. 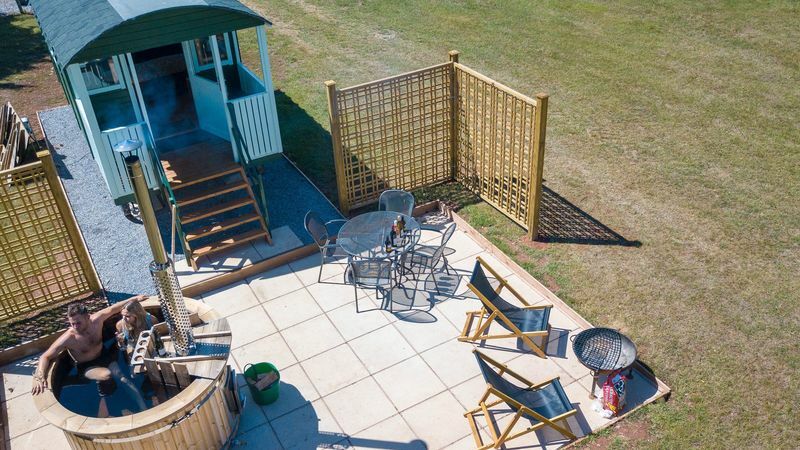 One well behaved dog is allowed in the Quantock Paddock (Wigwams 1 - 9) and in the Hill View Wigwams 1 and 2 and are charged at £7 per day. Earliest check in is 2.30pm. Latest check in is 11.00pm. We kindly ask that you check out by 10.30am.